Mitzie Graff represented the DeFuniak Springs Woman's Club. 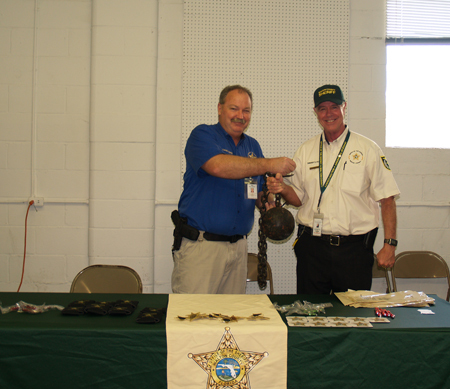 Lt. Danny Garner of the Walton County Sheriff's Office (left) and Chick Huettel of the Sheriff's Posse displayed an authenic ball and chain used on Walton County prisoners years ago. 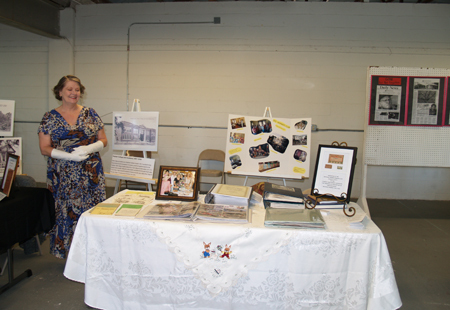 Walton County Heritage Association Board Member Rose Rogers (left) displayed her family's history, and members of the Chautauqua Porcelain Painters displayed their group's history. 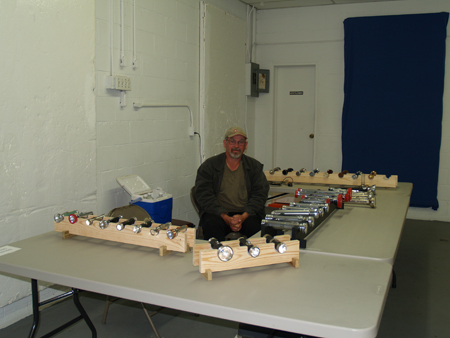 Dennis Unser displayed his collection of antique flashlights. 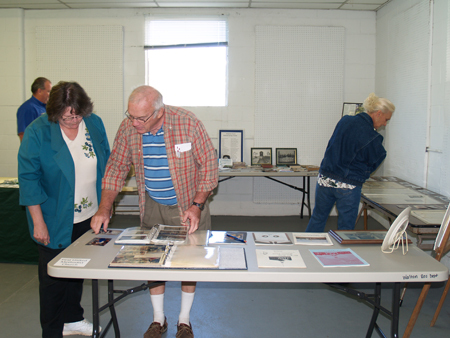 Long-time Walton County Heritage Association member Craig Reynolds (plaid shirt) displayed the history of the DeFuniak Springs United Methodist Church. 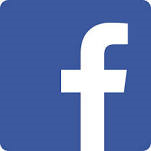 Walton County Heritage Association Board Member Rev. 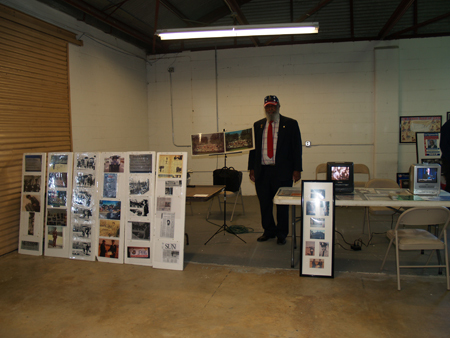 Tyrone Broadus had an autobiographical display. 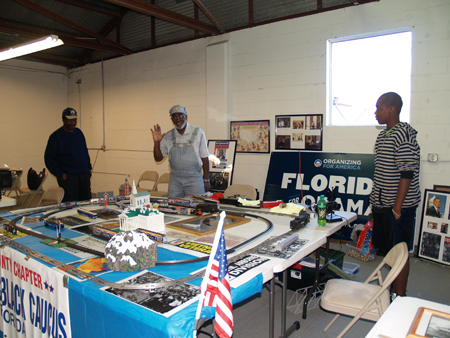 Walton County Heritage Association member J. Colbert Brown, Jr. (waving) set up an elaborate train display that all enjoyed. 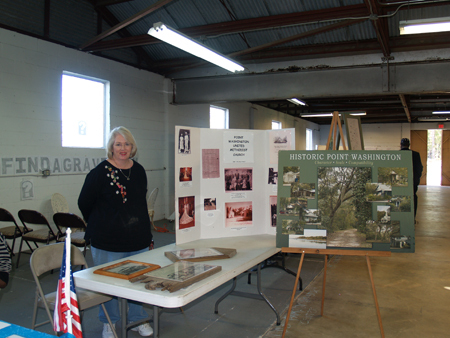 Joyce Sunday represented the Historic Point Washington Association. 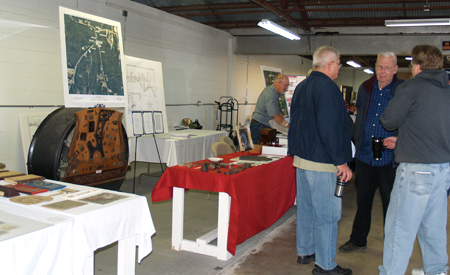 Walton County Heritage Association Board Member Bruce Cosson (left) and fellow "History Detective" Don Perring (facing camera) displayed an impressive collection of Walton County artifacts. 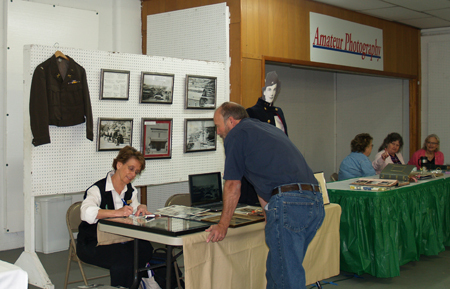 Thanks to all who participated in and visited the 2013 History Fair!